Taking a look at what several wireless manufacturers have been working on during the spectrum auction process. The major wireless manufacturers have poured significant resources into lobbying the U.S. government and educating the professional audio market about what’s been happening with FCC’s recently concluded RF spectrum options. However, I don’t think it’s a stretch to say that many users feel shafted by the situation. I’ll even take it a step further: in my role with Lectrosonics, I’ve talked with several customers who are disappointed or perhaps even angry with us, believing that we’ve somehow caused the situation or that we’re taking advantage of it. 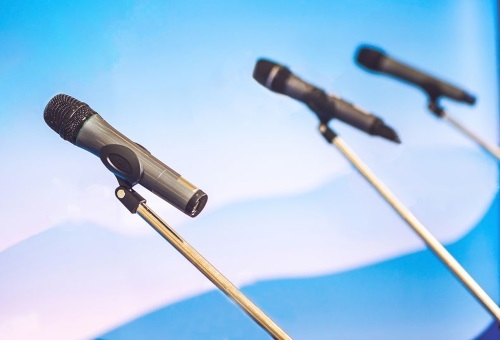 Some have even said, “But all of this is good for you, right?” Let me be perfectly clear – no one in professional audio, including the manufacturers – remotely sought these changes, but frankly it’s a situation with many powerful forces in play. That said, I’d like to provide a look at what we (several wireless manufacturers) have been working on during the spectrum auction process. Shure and Sennheiser, in particular, have spent huge amounts on lawyers, consultants and specific staff dedicated to this issue. Suffice to say, lobbying is very expensive and time consuming. Meanwhile, Audio-Technica and my company (Lectrosonics) have been quite involved as well, attending meetings in Washington, D.C., participating in hundreds of conference calls over the past few years, and more. The results of this process are important to understand: we did not get everything we asked for but we did get some important concessions, largely because the FCC wouldn’t have had nearly as clear of a picture of the scope and potential impact of the auction without us telling them. Provided with that information, they made several important decisions in favor of the pro audio industry, including increasing access to Part 74 licenses, widening the 941 MHz band, and allowing users to continue operating in the auctioned 600 MHz band as long as possible – until the new owners turn on their services. One of the primary areas of focus among manufacturers, trade associations, publications (LSI and ProSoundWeb in particular) and others has been both coordinated and uncoordinated efforts toward educating the market on the changes. We’ve collectively held dozens of panels at several trade shows, including LDI, AES, NAMM, InfoComm, USITT, WFX, NAB, and others, and have hosted educational seminars such as the Sound Summit in dozens of major metro areas throughout the U.S.
We’ve also participated in training events such as SynAudCon’s “Making Wireless Work” training, where about half of a day is spent on this topic alone. And in fact, we’ll be presenting this training again this October, and I encourage you to go to prosoundtraining.com for more information. The goal has always been, and continues to be, to get as many audio professionals up to speed with the reality of the changes as far in advance of the coming deadlines for changes as possible. This allows users to plan for the inevitable expenditures and allocate necessary funds. Sound companies, rental houses, churches, schools, theatres, broadcasters, location sound engineers — basically anyone running wireless systems — are likely to be impacted, and many already are. As the main window of change began to take shape after the FCC’s Report and Order in April 2017, many manufacturers began to offer trade-in and rebate programs to ease the pain of the transition out of the 600 MHz band. Each program is different, but the bottom line is that, well, the bottom line for the manufacturers is taking a bit of a hit. Will we go out of business? No, I don’t think so. But the fact that we’re doing this without subsidies from the government or the new spectrum owners should indicate that the last thing on our minds is gouging. Also consider the newly developed products over just the past few years that are designed to provide more “bang for the buck” than ever before. More features, better performance, and a greater range of options are available now than at any other time. If anything, the price per channel for quality wireless has become perhaps a tad more affordable than in the past. In addition, Lectrosonics (and we may not be the only ones) is offering a re-blocking program so that existing 600 MHz products can be updated with new hardware so that they operate in a different frequency range. The cost for this is about one-third to one-half of replacing the equipment, and represents one of many options now available to customers. In order to handle the demand for this service we’ve hired more technicians in our parts and repair department. As it turns out, we do have a need for it. Along with auctioning the 600 MHz band, the FCC is tightening the rules and regulations for all wireless products. The new standard is essentially the same as what has been used for decades in Europe, which was another win by the lobbying group. In other words, the FCC had proposed an even more restrictive standard that would have caused problems for professional audio, but we were able to convince them that the EU standard was the right choice instead. The result of all this, though, is that all wireless manufacturers are now required to re-certify every make and model of transmitter if they plan to continue selling it on/after October of this year. The costs for testing are considerable, and borne completely by the manufacturers. It doesn’t matter if the products already complied with the new rules (and many do), they must be re-certified anyway. It also means that manufacturers must make choices about which equipment they will re-certify, which may result in gear that is selling perfectly well but near the end of its product lifecycle ending up coming to an artificial end next month. My intent is not to come across as whining about the challenges we face as wireless manufacturers. Representing our customer base and content generation as a broad category, we undertook these efforts willingly. This is our chosen industry, and there will always be challenges and difficulties. Manufacturing is not for the faint of heart, but it is often very rewarding. We relish the opportunities to help people do their jobs better, faster, more efficiently, and with better sound as the result. The spectrum auctions, induced by Congress and carried out by the FCC, are “just the way it is,” particularly now that the decisions have been made and finalized. My goal is to emphasize that we all must work as partners to develop solutions that benefit everyone working in professional audio. I’m proud of the work noted here, and after the dust settles from this one, we should all be ready to face the next set of challenges together. I for one have nothing to say but a hearty "Thank you so much" for the wireless manufacturers defense and support of myself as well as all other wireless users. Anyone not seeing all that the wireless industry has done for us clearly does not understand there really are no winners(at least not in pro audio) in this situation. The forced development of new systems has it's advantages but is a slippery slope all must maintain a watchful eye on to survive the transition. Thanks again to all the manufacturers!